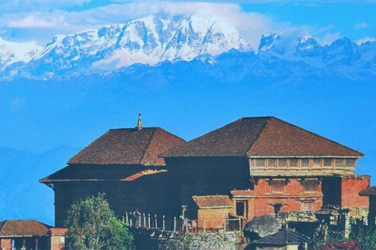 Experience Nepal tour is for Nepal experience tour visited sites to experience real Nepalese culture, history, arts and other traditional reflection of Nepal. For over forty years, Nepal has been an extremely fascinating destination for travelers, scholars, and researchers. 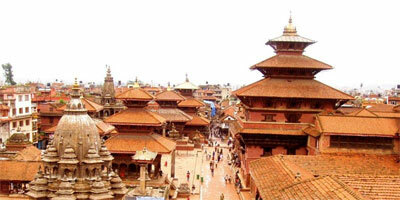 For those interested in culture, the Kathmandu valley, is endowed with seven World Heritage sites. This valley was divided into three kingdoms less than a century ago. Some of the other popular sightseeing tour places are Lumbini is birth place of Buddha, Chitwan is best place for wildlife, Pokhara is a dreamland city for nature lovers, Tansen a journey to see beautiful Durbar, Nagarkot and Dhulikhel is place for mountain scenery, Bandipur is traditional city to see nice culture with panoramic view, Gorkha - Shah dynasty begins from Gorkha where available beautiful Durbar and next destination Daman is famous for wonderful vegetation, mountains and on the other hand it is popular for sunrise. 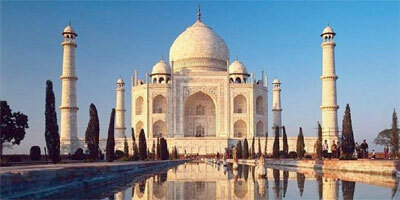 The trip contains countless architectural monuments, and vestiges of varied cultural and religious traditions. 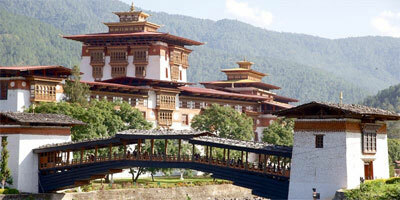 If you are looking adventures tours in Nepal please choose following itinerary. After an early breakfast, you are ready to do sightseeing tour in 4 major places in Kathmandu - Swoyambhunath (Monkey temple), Boudhanath, Pashupatinath, and Kathmandu durbar squire. We begin today's sightseeing tour with a visit to Swoyambhunath a 2500-year old site where, it is believed, the Radiant Lotus of the valley-mythology, settled when the water was drained by Manjushri, the god of Wisdom. The 5 dhyani Buddha's attended by their consorts are enshrined at the base of the stupa. (Non-Hindus are not allowed inside Swayambhunath temple) then continues tour into Boudhanath it is the world,s largest stupa and of Tibetan Buddhist Culture in Nepal. Antique shops where you can buy things of your interest relating to Buddhist surrounded the monastery. After Boudhanath your next spot is The Pashupatinath temple stands along the side of Bagmati River. It is the holiest Temple for Hindus. Many people from different part of Asia visit this Temple. Temple dedicated to lord Shiva, is also a site for Hindu cremation. During the festival Shiva Ratri temple crowed by devotees. Afternoon visit Kathmandu durbar squire, Hanuman Dhoka, the ancient royal residential quarter, Mahadev and Parvati Temple, Machhender Bahl-holy place for the Buddhists and Hindus, Temple House of Kumari, the vestal virgin or the living goddess. Walk around the local bazaars then drive to Hotel. Early morning, drive to Chitwan and transfer to hotel. Welcome drinks served upon check in at Chitwan hotel. Evening Tharu Cultural Dance show. You will have good dinner and Overnight stay at hotel. Morning: Breakfast. Canoe ride in the Rapti River, (an good opportunity to see Bird and two rare species of crocodiles; Marsh Mugger as well as fish eating Gharial.) Jungle Walk and visit elephant bathing center. Afternoon: Lunch. Elephant Safari (an opportunity to see four different kinds of deer, rhinoceros, wild boar, monkey, leopard, sloth bear also you will also encounter many other smaller mammals that have made Chitwan their home.) Evening: Sun set view from the bank of Rapti River, slight show or culture program. Night: Dinner and overnight at hotel. It is nearly 3 hours drive to Bhairahawa and overnight at hotel. While driving to Bhairahawa beautiful and attractive scene of various types of vegetation, green hills and villages can be experienced. Get up early in the morning, after breakfast almost one hour drive to the birth place of Buddha. 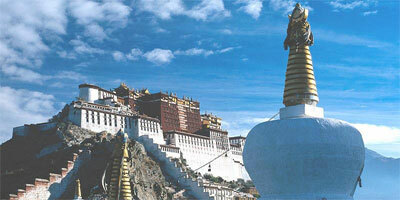 It is extremely famous pilgrimage site for Buddhists and other pilgrims. The periphery of religious site is surrounded by different kind's temples, monuments and other holy places. After visiting the spot, in the afternoon drive back to Bhairahawa and overnight at hotel. Today, after breakfast you are departure for Tansen. After approximately 2.5 hours drive you are reaching in Tansen and after checking hotel you can take lunch and after make sightseeing around Tansen. It is an old western Newari city with an amazing history and some marvelous Nawari architecture. After breakfast the sightseeing starts inside the valley of Pokhara. The sightseeing places are as follows: Old bazzar of Pokhara city, Bindhayabasini temple, Seti George, Buddhist monastery, Pokhara regional museum which displays the traditional things of western Nepal, Devis Fall, Gupteshwor Cave, Tibetan refusee camp, Barahi temple which lies in the central part of the lake Fewa etc. Today you will wake up early in morning to go to Sarankot which is very famous viewpoint for sunrise and sunset. On the other hand it is popular spot to view the gigantic and snowcapped Annapurna and Dhaulagiri ranges. It is nearly 1 hour drive to go and back. Then, in the afternoon visit to Peace Stupa, nearly one and half hour hiking to the top then descend to the lake Fewa for boating. After breakfast, It is approximately 4 hour drive to Bandipur. Bandipur lies on the top of the hill and it is also a traditional city which contains the attractive temples, traditional newari styles buildings and also it is surrounded by beautiful jungle. From the Bandipur, excellent view of the panoramic and snowcapped mountains can be seen. You wake up early in the morning to view nature at its best, as the most heavenly sight of sunrise rejuvenates your senses. You spend your day amidst the natural surroundings of Bandipur, Take a breakfast and drive to Gorkha Bazaar.same day visit the Gorkha palace here to begin your sightseeing of the region. Climb the palace steps from the bottom of the hill, all the way to the top, climbing about one thousand seven hundred steps (1700), in about two hours. That's some hiking to do! If you get tired sit down on a step or think how much easier the trip down will be! You will be glad you got to the top. On a clear sky day, you can view Himalayan range including spectacular view of Manaslu and Himalchuli Mountains, and panoramic views of the valleys. The mountain flight gives the best opportunity to get the closest and the best view of Mount Everest (8,848m) & other mountains such as, Shisa Pangma (8,013m), Gauri Shanker (7,134m), Melungtse (7,023m), Cho Oyu (8,201m), Pumori (8,171m), Nuptse (7,855m), Lhotse (8,516m) & Amadablam (6,856m). The flights are operated every morning from Kathmandu airport which fly at an average altitude of 6,500 - 7,000 meters. Circling Mount Amadabalm to enter the Khumbu valley, we take the passengers almost five nautical miles from the highest peak in the world - Mt. Everest (weather permitting). This flight usually lasts for about an hour. We provide each passenger with individual window seats (guaranteed) during the entire flight. Moreover, all our passengers are invited to the cockpit from where they can take some spectacular pictures of the world's tallest mountains. Afternoon free you can do your own activities.